Morgan Williamson: maker, mother, & clay workshop host! I’m a ceramic artist, workshop host, wife, and mother living life in Nashville, TN. My studio is found in the collaborative 100 Taylor Arts Collective, home to a coffee shop, floral design studio, artist studios and countless creatives making all sorts of magic in our communal building. I find joy and refuge in creating with my hands & my hope is that our studio offers intentionally made pieces that can speak to your personal lifestyle and help you find joy + beauty in your everyday life. When I’m not making pottery under the skylights in our studio (or sprinting after my 2 year old), you may find me as the creative director of our gourmet shaved ice food truck, Retro Sno. (Spoiler: try the Raspberry Wedding Cake… you won’t regret it!). I grew up in a family of artists (+ 1 brain scientist) and eventually went to college to study fine art. My ceramics classes in college were a welcomed refuge to my busy life, but I never imagined ceramics would become my career! After working a “real job”, I found myself with a deep longing to create, and I took the leap to quit my job, buy a kiln from Craigslist (I may or may not recommend that!) and start Handmade Studio TN & Retro Sno in the same year. (2012 was one for the books!). My first studio was on the side porch of our rental home, then our spare bedroom, and when I took over the kitchen, I finally rented a start-up space at Fort Houston in Nashville. 7 years later, Handmade Studio TN has grown to help support my family and our small but mighty studio team! 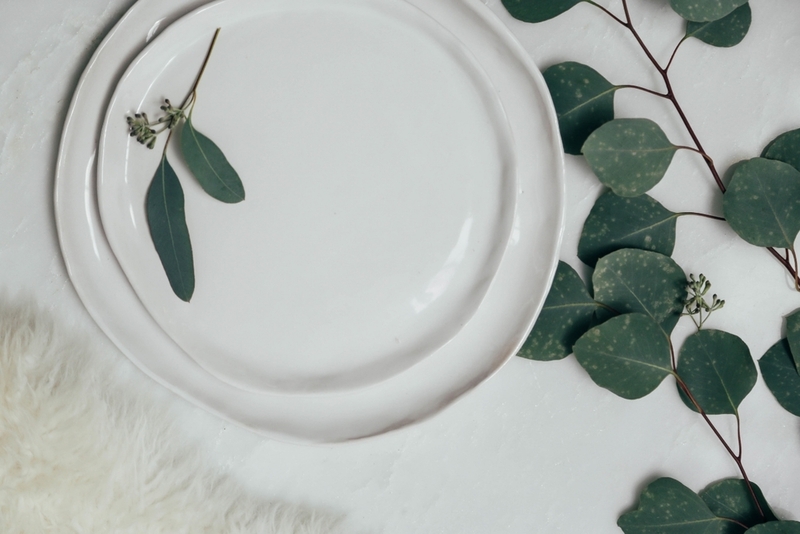 We’ve been able to send our handcrafted dinnerware to thousands all across the country, partner with brands and restaurants we love, offer wedding registries, and see so many people share in the joy of creating through our workshops & retreats! I am so grateful for our handmade community and the products you choose to put on your table! Embrace everyday beauty with our timeless handmade ceramics. Discover the joy of creating with your hands… and eat cheese with us. Whether you are indulging in your first cup of coffee or hosting a dinner party for 10, we offer you handcrafted ceramics that will add thoughtfulness and beauty for your everyday life. We know you want to bring beautiful, meaningful and useful pieces into your home. That’s why everything we make is crafted entirely by hand with organic beauty, minimalism and a timeless aesthetic in mind. When you purchase our dinnerware, you can rest assured that you are adding heirloom quality pieces to your collection - pottery that you can enjoy and then pass down to your kids one day. Our small but mighty team works out of our light-filled Nashville studio tucked away in the historic germantown neighborhood. Did you know that we offer Clay Workshops in our Nashville studio? Don’t miss the chance to join us for an evening of creating with your hands. You’ll discover the therapeutic nature of working with clay, and we will spoil you with wine + cheese + dessert + gifts. All skill levels are welcome! I will be by your side to offer one-on-one instruction and our team will serve you as you enjoy a slow evening of creating. Sign up for our next workshop HERE. Book your own private workshop HERE. Thank you Alissa Saylor , High Five for Love and Ivey Redding for our beautiful photos!